Back on my LapTop I researched the topic and found a really interesting article by Marissa from Sicily, Italy. [ Picture by Peter-facebook on Pixaby ]. Having said that – and the discussion is still out if it is the female or the male fennel that tastes better – look for the round fennel, with thicker stalks. That fennel has less “threads” (filaments) and is overall more tasteful and delicious. Marissa also implies, that at the end of the season you rather find the flatter fennel. The Center of Science in the Public Interest (CSIP) just published a very interesting Info-Graphic on facebook, which linked to the following article. Giving food for thought: What to Eat – the Grandparents’ Diet! Let’s think about the world we bequeath to our children and grandchildren! We are looking forward hearing from you! Recent research suggests that the classic Western diet with its many industrially-processed, fatty foods causes an increasing number of depressive and anxiety disorders. Unhealthy eating promotes inflammatory processes in the body and may contribute to a range of neurological and psychiatric disorders. A study conducted at the University of Pittsburgh with 247 participants showed that with a diet consisting mainly of tuna, salmon, olive oil, avocado and sweet potatoes, the participants showed far fewer depressive symptoms than the other group of test subjects, most of whom preferred industrially-processed foods. More and more neuroscientists are recognizing the complex ways in which our food intake is related to brain health. A large number of studies have already been conducted and the list of foodstuffs that are supposed to be the right “food” for our brain is getting longer and longer – fish and the Omega 3 fatty acids, for example, are at the top of the list when it comes to preventing psychoses and depression. Lactic acid bacteria in fermented foods such as yogurt, pickles and sauerkraut appear to help alleviate anxiety and worry, while foods rich in antioxidants such as green tea and fruit can help keep dementia and Alzheimer’s at bay. One or two comparative studies are of course still required to clarify and supplement these findings. However, the most certain evidence to date is that the so-called Mediterranean diet of fruit, vegetables, fish, lean meat, olive oil and a glass of red wine every now and then is refreshment for the brain. In Western cuisine, on the other hand, frozen pizza, packaged soups and canned food are often on the table. According to a representative survey by the German Federal Ministry of Food and Agriculture, 20% of German households cook their own meals “actually never” or “at most once a week” – and 47% of German men and 22% of German women eat meat every day, which the experts also regard as being problematic. In a study published in 2015, scientists even found evidence that poor nutrition “shrinks” the brain. The psychiatrist Felice Jacka, together with colleagues from Deakin University and the University of Melbourne in Australia, analyzed data from a longitudinal Australian study on mental health. At the start of the study, the subjects were between 60 and 64 years old, gave detailed information about their eating habits and underwent a brain scan. Their brains were scanned again four years later, and the focus was on the hippo-campus – which is considered the center of our memory. We also know that the hippo-campus shrinks with increasing age. The study results clearly showed that the left hippo-campus had become much smaller in the test persons who preferred hamburgers, steaks, french fries and soft drinks and declined fruit and vegetables, compared to those of test persons of the same age group who mostly preferred Mediterranean food. The researchers are still not quite sure exactly which mechanisms are behind these findings. According to science, inflammatory processes could be one of the triggering factors. A high sugar content diet in particular promotes metabolic changes and inflammation in the body and several studies have shown that these inflammatory processes play an important role in brain diseases. Epidemiologist Martha Morris and her team at Rush University in Chicago established similar relationships between nutrition (Mediterranean and low-salt) and cognitive decline in old age. In the observational study, 960 older people were asked about their eating habits and their mental fitness was regularly checked. Five years later, participants who said they often ate vegetables, berries, nuts and olive oil and little fried, fast food and red meat were less frequently diagnosed with Alzheimer’s disease. In the mental test, they also scored as well as subjects who were 7.5 years younger, but who had eaten unhealthy food. Conclusion: A healthy diet combined with exercise and mental activity can help keep the “grey matter” fit longer in old age. Intestinal Bacteria do not like Salt! Salt flavors your food nicely – but at the same time it also provides valuable minerals and plays an important role in regulating the water balance in the human organism. Sodium chloride, a component of salt, is also needed for the nervous system, digestion and bone formation – but you should use it sparingly. It has long been known that an excess of table salt in foo d can cause high blood pressure – but what very few of us know is that the course of multiple sclerosis, an autoimmune disease, can also be negatively influenced by salt. The normal daily requirement is two to three grams, but this is often exceeded, since most people not only use salt to season their food, they also consume it in many salty processed products. A team of researchers led by Dominik Müller at the Max Delbrück Center for Molecular Medicine (MDC) in Berlin investigated the effect of high salt consumption on the intestinal flora. The composition of the intestinal flora is becoming more and more important in a wide range of diseases – and is increasingly becoming the focus of research. The intestinal mucosa is the main habitat of the immune cells, which produce a large army of antibodies, neurotransmitters and defense & scavenger cells to protect the body from foreign substances. Earlier studies have shown that too much table salt in food increases the number of immune cells called “Th17 helper cells”. These cells then produce increased levels of the Interleukin-17 messenger substance, which triggers inflammatory reactions in the blood vessels. Blood pressure increases, and the development of autoimmune diseases can be stimulated as a result. In the Berlin study, the research team investigated the extent to which the intestinal flora changes due to excessive salt consumption. For two weeks, mice were given 0.3 grams of table salt every day with their food. Examination of the feces samples for the composition of the bacterial species showed that the number of some bacterial species was reduced and that some of them had disappeared completely from the digestive tract – the intestinal bacteria of the genus Lactobacillus, for example, could no longer be detected after 14 days of increased salt intake. So, to what extent is this result transferable to humans? In a pilot study with twelve healthy men, the researchers tested the composition of bacteria in the digestive tract. The men were given six grams of table salt for 14 days in addition to their normal food. They consumed an average of 12-14 grams of table salt per day. The intestinal bacteria of the genus Lactobacillus also reacted in the test persons – and could not be detected at the end of the test. Another interesting result of the study was that significantly fewer Th17 helper cells were formed in mice that had been fed a salt-rich diet and probiotic lactobacilli – and their blood pressure also decreased. It is not clear whether lactobacilli, which are mainly found in fermented foods such as sauerkraut, yogurt and cheese, have an effect like that of the probiotic lactobacilli that were added to the food – particularly since the researchers cannot rule out the possibility that there are other salt-sensitive bacterial species that have an important influence on health. Further studies are necessary to shed more light on this – and the results of these studies may enable us to counteract autoimmune diseases with an individually-adapted probiotic therapy. This is something to look forward to! The Easter Eggs – cooked and colorfully dyed, now before Easter you can find hard boiled eggs in the stores! They are traditionally part of Easter and should symbolize fertility and new life. Not only at Easter, the egg is booming: on average, Germans eat 210 eggs per year, according to the Federal Statistics Office. In the U.S. statista reports 274 eggs per capita consumption. This is no wonder, because eggs can be used to prepare and refine numerous dishes. But the rumor persists that eggs are unhealthy. Cholesterol is the name of the villain to whom the eggs owe their bad reputation and is said to be partly responsible for atherosclerosis, stroke and heart attack. Although eggs are one of the high-cholesterol foods, fortunately this is not the only ingredient that eggs have. In addition to high-quality protein, vitamins and minerals, the egg yolk also contains lecithin (phosphatidylcholine), which largely blocks the absorption of cholesterol into the body – as has been confirmed in various studies. Therefore, you can enjoy your Easter eggs! Did you know why boiled eggs sometimes have a green border around the yolk? This is because protein compounds of the yolk release the micronutrient iron by cooking too long. At the same time, hydrogen sulfide forms in the egg white. Iron and hydrogen sulfide combine to form iron sulfide with its blue-green coloration, and creates a blue-green border around the yolk, which, however, is completely harmless. Medicinal plants are suitable for the prevention of mild ailments and for the early treatment of a recent illness. In case of unclear cause of discomfort or unclear symptoms you should always consult a doctor. If the symptoms do not improve after three days of self-treatment or your condition worsens, you should definitely consult a doctor. For chronic conditions, you should always discuss self-treatment with your physician. In any case eating healthy and drinking lots of water will help you improve and recover the fastest. Take care of yourself and be well! Join us for our New Year’s Challenge! What are you waiting for? Join the 2018 metabolic balance® New Year’s Challenge and enter our raffle to Win a Kindle Fire HD. Lose the unwanted weight and improve your health and your vitality. Finding your personal equilibrium is the best solution for long term success and personal empowerment. 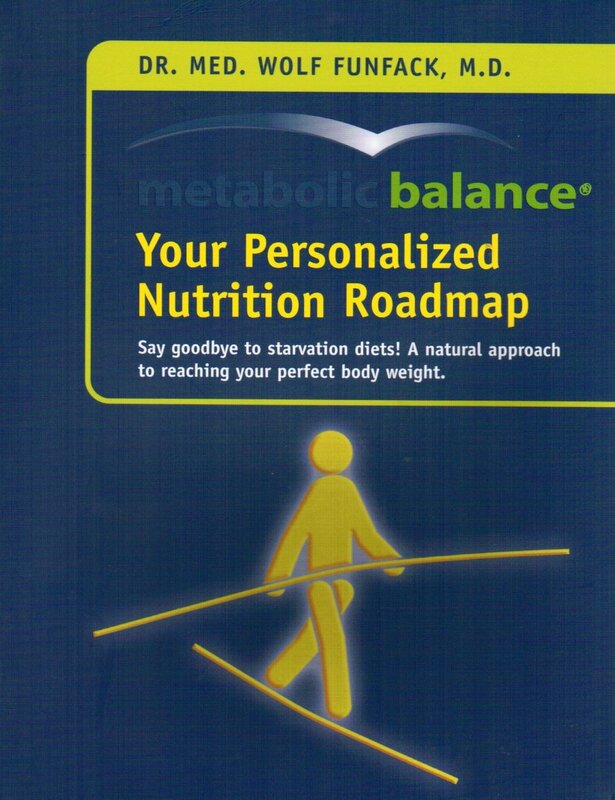 With metabolic balance® you receive a personalized nutritional road map that leads the way. According to the Chinese proverb “A journey of a thousand miles begins with a single step”, we believe that you can go “one step” above the standard of 5% body weight loss which research has shown can offer significant benefits in initial health improvement to those obese and overweight. Additionally, this is an attainable goal for the majority of our metabolic balance® clients. Therefore, your certified metabolic balance® coach will assist you towards this target – a key milestones of success within your get-healthy journey. Additionally, this milestone can contribute greatly to your personal motivation, encouraging you to stay on your personal metabolic balance® journey! We have seen that the longer and closer participants follow their plan, the more apt they are to attain a sustainable new lifestyle, and go on to achieving even greater long-term health benefits. Which is – after all – the goal of the metabolic balance® method. To learn more, contact your nearest metabolic balance® Coach for full details. Frequent diets will drive ou r body into starvation mode. It reduces its activity and therefore the number of calories it will burn. Therefore, eat regularly but limit your food ingestion to 3 times per day. Eating food can increase your metabolism which is called the THERMIC EFFECT of food. This is due to the fact that additional calories are required to digest, absorb and process the nutrients. Water ingestion may also have an effect on increased thermogenesis and thus will burn additional calories. In addition, drinking water will increase satiety. Lack of sleep will decrease the fullness hormone leptin as well as increase the hunger hormone ghrelin. Sleep deprivation is also linked to raised insulin resistance. If you have a sedentary job, try to get up frequently, take the stairs instead of the elevator, walk rather than take your car. Last but not least, there are some foods that might help you to strengthen your metabolism. Spice up your meals with PEPPERS containing the substance CAPSAICIN. GINGER as well as APPLE CIDER VINEGAR also seem to boost your metabolism.